LISBON, Portugal -- Bentley Motors is eyeing a new strategy for both its SUV lineup and its electrification plans: combining them. The superluxury automaker is considering doing a small SUV positioned below the Bentayga that would be electric-only, executives say. "I can assure you that Bentley -- on the long term view -- will not stay with one model only in the SUV lineup," Wolfgang Duerheimer, Bentley CEO, said at the press launch of the Continental Supersports. "We have clear indications that a smaller Bentayga as a Bentley SUV would find great acceptance." But a smaller SUV would need to be different enough from the Bentayga so as not to cannibalize the larger model's sales. Making it electric solves that issue. "If you are looking for such a car [small SUV] then we are looking to that in combination with the possibilities to go full electric," said Rolf Frech, Bentley's board member for engineering. "It only makes sense if you get really new customers into the brand." 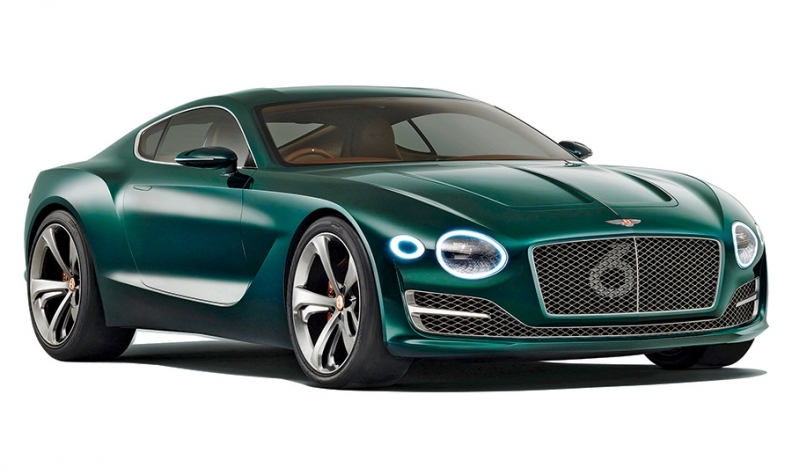 An all-electric SUV could spell trouble for a Bentley sports coupe teased by the EXP 10 Speed 6 concept. Bentley likely lacks the resources to develop both an electric SUV and a production version of the EXP 10 after the financial toll of VW Group's emissions crisis. And the regulatory benefits of a zero-emissions vehicle may be too great to ignore. Such an EV would be considered stage two of Bentley's electrification plans and likely wouldn't arrive until 2020 or beyond, Frech said. Bentley announced stage one this year: a PHEV version of each model. The Bentayga SUV will be the first, followed by the new Continental GT and later the Mulsanne and Flying Spur. The models will initially use a V-6 PHEV powertrain pulled from the VW Group. It is expected to be capable of at least 500 hp. But Bentley won't stop with a V-6 plug-in hybrid option; a V-8 PHEV is also planned, particularly for the U.S. market, executives said.